The ‘Best’ and ‘safest’ Stain Treatment you can buy. Doesn’t ‘Mask’ the stains it ‘Cleans’ them. 100% Eco-Friendly, Odourless and doesn’t leave any horrible staining on the carpet. 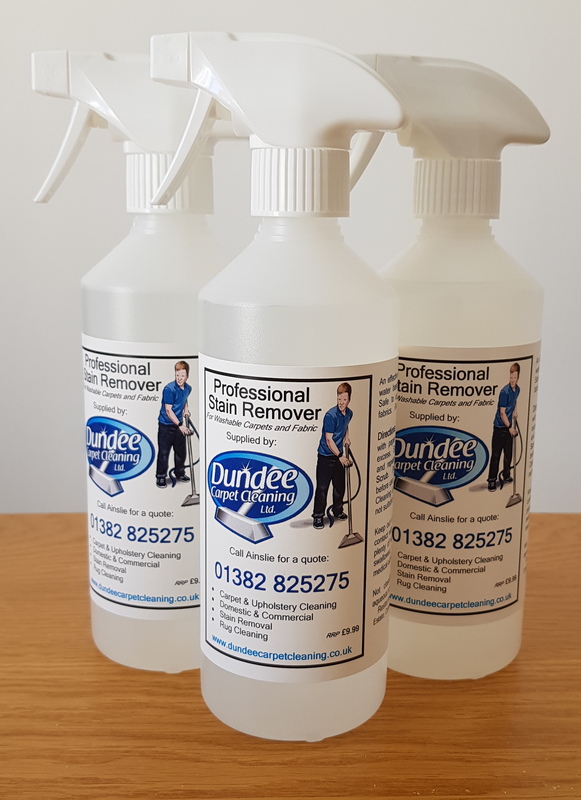 Our Stain Treatment is sold in 500ml bottles and can be delivered right to your door.